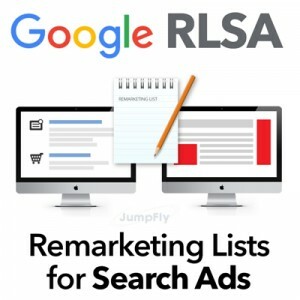 If you haven’t already heard, Google Product Listing Ad campaigns are being retired in late August and are being replaced by Google Shopping campaigns. 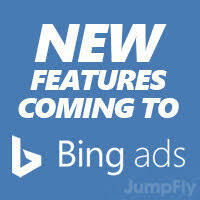 Advertisers will be required to do some PPC management in order to transition to the new platform. 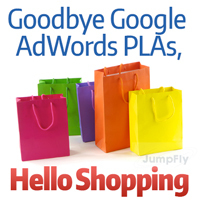 Google Shopping offers a variety of new features that improve upon the performance of the old PLAs. Before you transition your current PLA campaigns to Google Shopping, you’ll want to optimize your data feed. Use the attribute values in your feed to create product groups within your campaign. When reviewing your data feed, consider the best way to subdivide your products into product groups using any attributes you choose (category, product type, brand, item ID, custom labels, etc.). You can make these subcategories as granular as you like. Any ungrouped products will remain in an “Everything Else” product group. You can then use the Products tab to view your inventory, filter by attribute, and place bids. Ability to see your product inventory, group your products, and set your bids directly through AdWords. Enhanced reporting capabilities allow you to see how a particular product or group of products is performing, down to any level of granularity rather than just at ad group level. Access to competitive benchmark data that you can use to optimize your campaign and adjust bids to remain competitive. Ability to organize your campaigns by Product Groups rather than Product Targets. Now that you can see your inventory directly through AdWords, organizing into Product Groups is much more seamless. Then you can bid on each product group according to your particular goals. Custom Labels rather than “adwords labels” or “adwords grouping” allow you to group products that are on sale, are seasonal, or have other attributes (high price, high margin) that you want to easily monitor and report on. Inventory Filters (vs. Product Filters) allow you to limit your advertising on certain products based on certain attributes you identify. Optional Campaign Priority setting allows you to prioritize which campaign will be used when you advertise the same products across multiple campaigns. Once your Google Shopping campaigns are up and running, you can easily monitor and optimize them. You can view ad performance in the Products Groups tab, and further optimize your campaign based on benchmark data to see how your ads compare to those for similar products, Impression Share (IS) data to identify opportunities for more impressions and clicks, and using the Bid Simulator tool to help estimate the bid that is most likely to provide the desired level of performance.